We had another interesting visitor to our Family Child Care Home today! 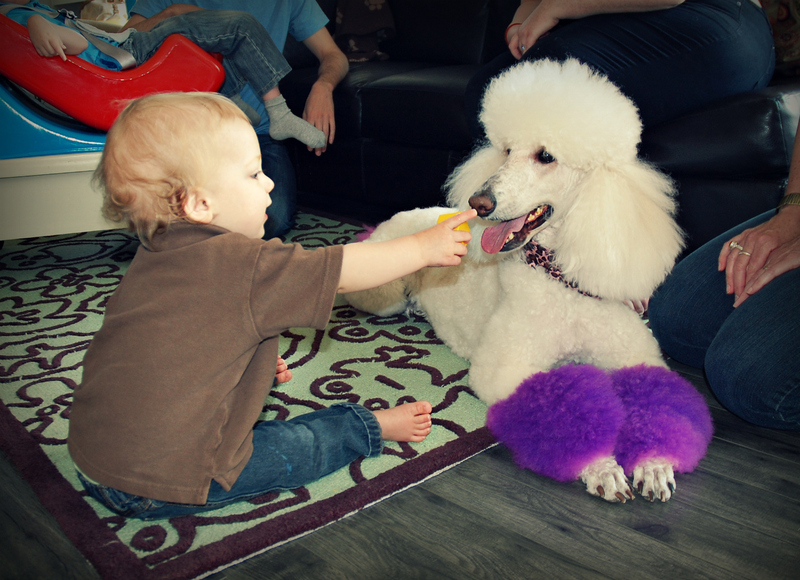 Meet “Lulu”, the Standard Poodle! She is 5 years old and is a very friendly pup! 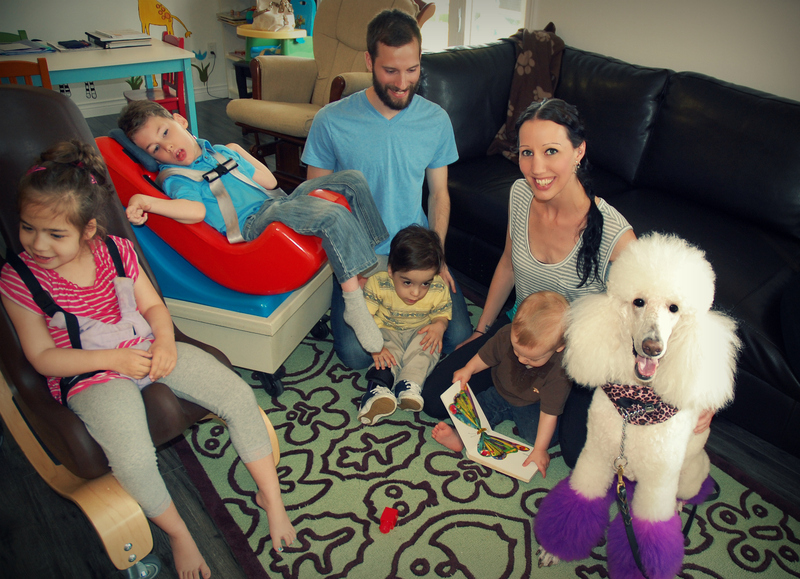 Lulu’s owner, Meghan is an award-winning pet stylist and the owner of Doggie Stylz, one of Newfoundland’s best grooming salons. The pretty colours you see on Lulu are non-toxic, ammonia free and free of any harmful chemicals. Lulu enjoys the grooming process and loves all of the attention she receives afterwards! 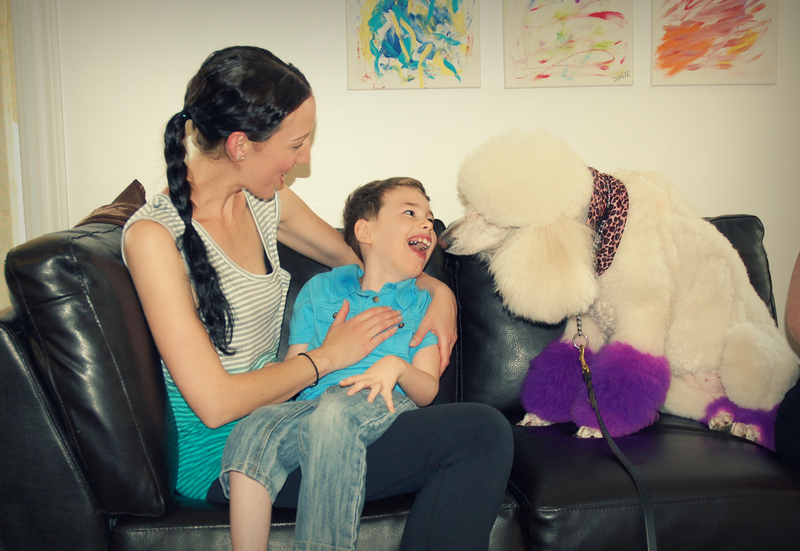 We were so happy that Meghan and Lulu were able to come and spend some time with our children! They certainly brightened up our day! !